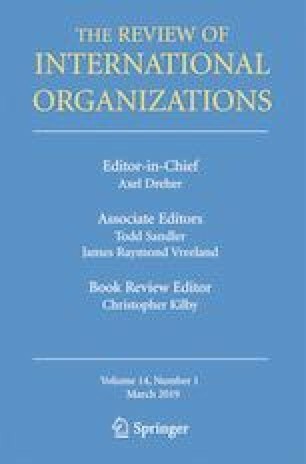 This paper investigates how the rise of global value chains (GVCs) in international trade affects the political economy of trade disputes. It addresses the gap between the domestic and international politics of trade disputes, which is especially relevant in these times as populist nationalism favors protectionist forces. We advance the argument that firms face institutional disadvantages in opposing protectionist forces at home, as observed in how contesting firms fare in US anti-dumping cases. As a consequence, they have incentive to seek cross-border cooperation with firms along the supply chain to escalate the adoption of anti-dumping measures to WTO disputes. The paper implements a two-stage empirical strategy. First, we examine the political contestation around US anti-dumping cases ongoing in the WTO era that takes place in International Trade Commission (ITC) hearings. We observe that while these cases see significant opposition from firms relying on the imports of intermediate goods, most cases end in favor of petitioners supporting the imposition of anti-dumping duties. In a second step, we quantitatively analyze the effect of intermediate and GVC goods trade in products that are the subjects of anti-dumping cases on the incidence of a formal WTO dispute. The results suggest that the high costs of litigation at the WTO are often prohibitive relative to the volume of trade in question and pose an equally difficult challenge for firms seeking to overturn protectionist measures.